Welcoming back Canadian Dj duo Loud Luxury! Saturday June 22nd – Tickets are on sale NOW!!! Don’t miss your chance to see these guys back at The KEE to Bala, this show will sell out so please get your tickets well in advance. 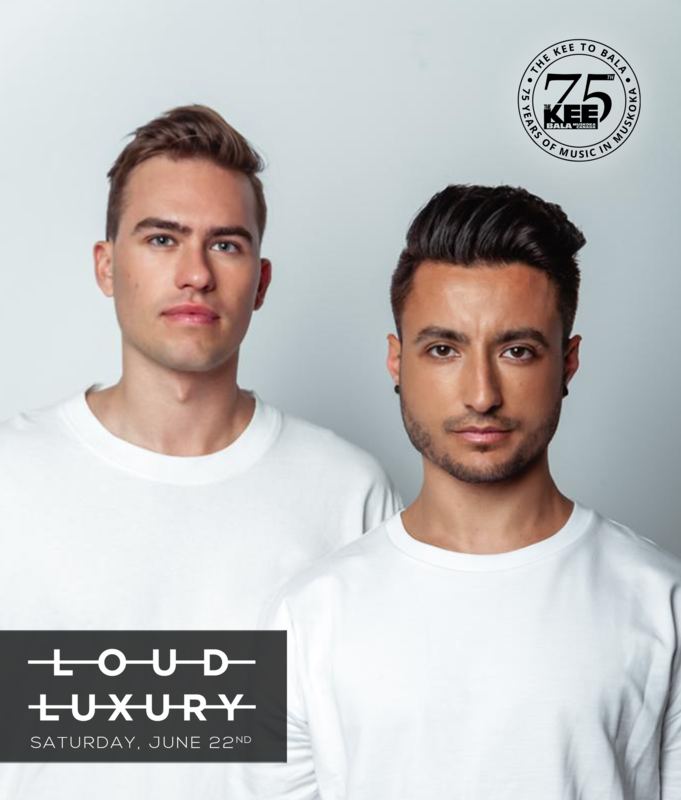 University friends Andrew Fedyk & Joe De Pace better known as Loud Luxury have been creating quite a stir in the dance music scene as of late. With just a handful of releases under their belt, this Toronto duo and their sound – equal parts house and R&B, has garnered the support of tastemakers such as Tiësto, Martin Garrix, The Chainsmokers, and Armin Van Buuren to name a few. In 2018, the boys followed up with their next single “Body” featuring LA based singer brando. Body ushered in a new era for Loud Luxury, which became an acclaimed hit being the most played song on Top 40 radio in Canada of 2018 as well as going 7x platinum. Body garnered worldwide attention cracking the top 10 singles charts in Australia, Germany, The U.K. and Denmark as well as becoming one of top 20 streamed songs globally. The track has entered top 40 radio in America as it continues to climb and has been certified Gold. To date, Body has amassed 500 million streams across major platforms and over 80 million YouTube views. With this success, it is safe to say Loud Luxury has been cemented as one of the top upcoming artists to watch in dance music.